Cross country woman bike rider Sana Iqbal's mother Shaheen Khan on 25 October, blamed Sana's husband and her in-laws for death. "I am sure that his mother was also present in the car, they both killed my daughter Sana. Abdul Raheem (Sana's husband) has broken my daughters hand and a leg. He allegedly also bit her ear. He did all mischief and projected it as an accident. Although, it was not an accident, we are sure that it was a murder not an accident," said Shaheen. 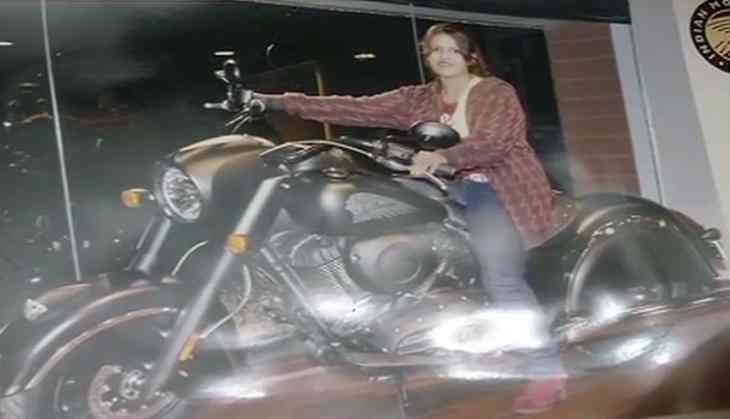 Sana, who had taken up the fight against suicide and depression by spreading awareness through her bike rides, died in a car accident on Tuesday in Hyderabad. She suffered severe head injuries and was declared dead while undergoing treatment at a nearby private hospital. Talking about the incident Shaheen said, "In the midnight at 2am Raheem forcibly took Sana with him. She was taking her son along with her but her husband refused to bring him and asked her to come alone. After going with him, he finished all in half an hour." In November 2015, Sana embarked on a solo bike ride from Goa through the length and breadth of the country on a Royal Enfield. Sana covered 38,000 km by a bike during her solo mission. She was pursuing a Masters in Psychology and was also counseling people with depression. Sana also delivered talks on depression at various colleges.